All drivers have an increased risk of crashing late at night however the risk is much greater for inexperienced young drivers. 16 and 17 year old P drivers experience late night crash rates that are up to seven times their daytime rates. Driving at night requires more skills and concentration. 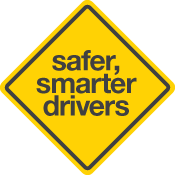 To help drivers to gain these skills, learner’s permit holders must gain at least 15 hours of experience driving at night with a qualified supervising driver. Night time driving is driving between sunset and sunrise. From 28 July 2014, a night driving restriction will apply between midnight and 5am for all P1 licence holders under the age of 25 for the duration of the P1 licence. Keep an eye out for pedestrians and bicycles - they can be hard to see at night. Keep your headlights and windscreen clean. Plan your route so you're aware of any steep descents or sharp corners. Don't look directly into oncoming headlights - you may be dazzled. Look at the left hand side of the road and drive well to the left. If you're dazzled, slow down or stop. Keep distractions in the car to a minimum. Don’t drive if you know you're going out late at night - even if you don't plan to drink. Only drive late at night with a qualified supervising driver.